Blackout shades can be a great addition to any room in your home. However, they can be especially beneficial in your bedroom. They make your home much more comfortable and give you tons of control over the light that is coming into your home. You may be wondering what exactly a blackout shade is. Blackout shades are made of completely opaque fabric that blocks out almost one hundred percent of light from entering your home. They are extremely common in bedrooms, as well as media rooms. 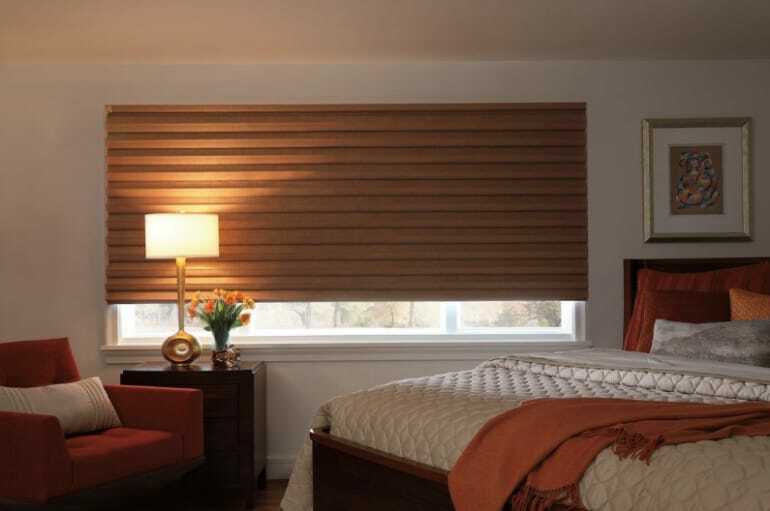 A primary reason why black out shades and room-darkening window treatments are great in a bedroom is that they make the room almost completely dark, making it much easier to fall asleep. These shades have the ability to block out light from a full moon, a street light, or any sort of obnoxious light that makes it hard to sleep at night. You also can go to sleep, successfully, much earlier than you could without them, as well as you don’t have to worry about being woken up by the sun bright and early in the morning. Nobody likes a rude awakening. You will also appreciate the insulating capabilities of these blackout shades. Whether you have just windows in your bedroom or have larger, doors to a deck, or something, warm air can escape easily, making it easy for the space to get drafty and cold in the winter months. These shades will keep your home much more comfortable and warmer without costing you an arm and a leg from turning up your heating unit. Relaxing in your bedroom gets so much easier with the installation of blackout shades. No longer will you have to worry about glare on a television being bothersome, nor will you get awful headaches from long exposure to UV rays. Hunter Douglas even makes it easier to relax with their PowerView® Motorization system. This allows you to control your shades from your smartphone, tablet, PowerView® Pebble® Control Remote, or even your smart home devices, such as Google Home or Amazon Echo. This means you can open and close your shades without even getting out of bed. You just tap a button and you’re set! You don’t have to worry about having to get comfortable again once you get up to open or close them.